JEFFERSON CITY – Gaylon Moss, Disaster Relief (DR) director for North Carolina Baptist Men (NCBM), moves to Missouri this summer to take leadership of the state’s DR efforts, according to a May 22nd announcement from the Missouri Baptist Convention (MBC). Moss’ start date is set for July 1. He and his wife Mindy will relocate to Missouri with their three teenage daughters Megan, Hallie and Kiera. Missouri’s previous DR director, Dwain Carter, stepped down from his role last August, taking a position with Texas Baptist Men. Since that time, Tamara Parry – who worked alongside Carter at the MBC – has served as the interim DR director. 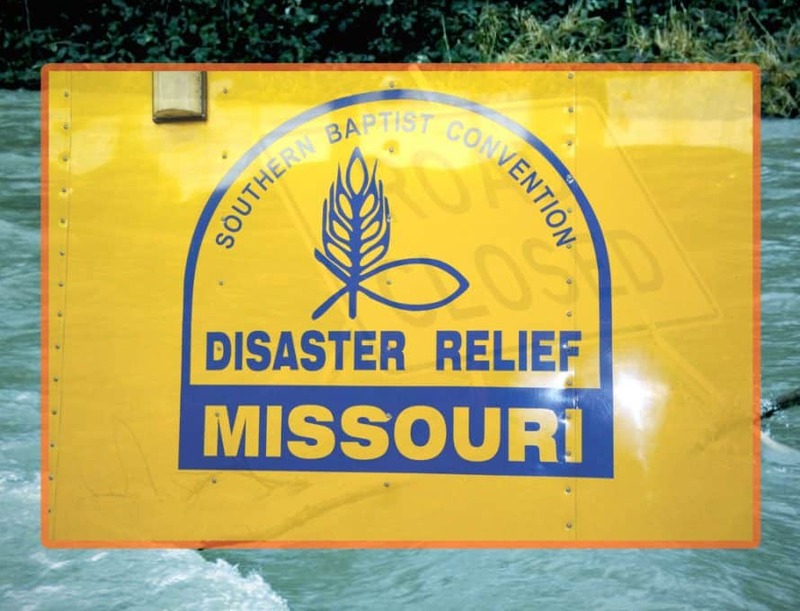 “God has blessed Missouri Baptists, and it is remarkable how responsive and effective the Missouri Baptist Disaster Relief team has grown under our previous DR leadership,” MBC Developing Leaders Catalyst Jim Misloski told The Pathway. “This was evident to all of us after Dwain Carter’s departure when MBDR, under the interim leadership of Tamara Parry, responded so effectively to one of the most severe hurricane seasons on record. “I am so grateful for the way Tamara, along with David Wells, Ron Crow and Joe Banderman have trained and responded with such commitment, professionalism and enthusiasm. Dr. Yeats and I feel privileged to represent such a strong team. That team represents an impressive array of volunteers who love the Lord and desire to serve him through disaster relief. Moss, who joined the NCBM as DR director in 1999, first felt called to relief work while volunteering with Texas Baptist Men. And he’s no stranger to Missouri disasters. His first response was to provide cleanup and recovery in the aftermath of Missouri’s historic flooding of 1993. “I look forward to working with Missouri Baptists in Disaster Relief in order to make disciples through this important ministry,” Moss said. Prior to overseeing DR in North Carolina, Moss served as a youth minister at Sharon Baptist Church, Oxford, N.C., as a summer resort ministry worker for North Carolina’s Flat River Baptist Association, and as a landscape supervisor at Southwestern Baptist Theological Seminary in Fort Worth, Texas. A native of Oxford, N.C., Moss received his bachelor’s degree in business administration from Campbell University in 1992 and his Master of Divinity from Southwestern Baptist Theological Seminary in 1996. In 2013, Moss was awarded the James F. Buffalo Award from the NC Emergency Management Association for outstanding achievement in support of Emergency Management. This is the organization’s top award for non-emergency management personnel.